Welcome to my stop on the Epic Giving Thanks Scavenger Hunt! Here I will talk about one of the many things I am thankful for, as well as give you my piece of the scavenger hunt: you'll find it hidden somewhere in my post, and it will be written backwards, siht ekil. May the odds be ever in your favor (mwa-ha-ha), and enjoy! Once upon a time, I was a freshman in high school (gosh, does time fly!). Now I'm a sophomore in college, and that feels like forever ago. When I was a freshman, I wasn't much of a reader or a writer, and definitely not like I am now. But then my friend got me to read this not-so-little book, and my life was changed forever. I know what you're thinking. Twilight? Seriously? Ohmygosh, this girl is cray cray. I don't care if that's what you think, because I will always and forever be a twihard, no matter how crazy the fans get and how not-very-well-made the movies are (but I still love them anyway). If it wasn't for Twilight, I don't know that I'd be where I am today. Reading those books put me in a frenzy. Once I finished Twilight, New Moon, and Eclipse, I had to wait for Breaking Dawn to be released. I hate waiting, and I needed something to bide my time. So I read other books and Rachel the Bookworm was born. It got to the point where reading became more important than homework (it is), and my grades dropped. But I don't care. Much. 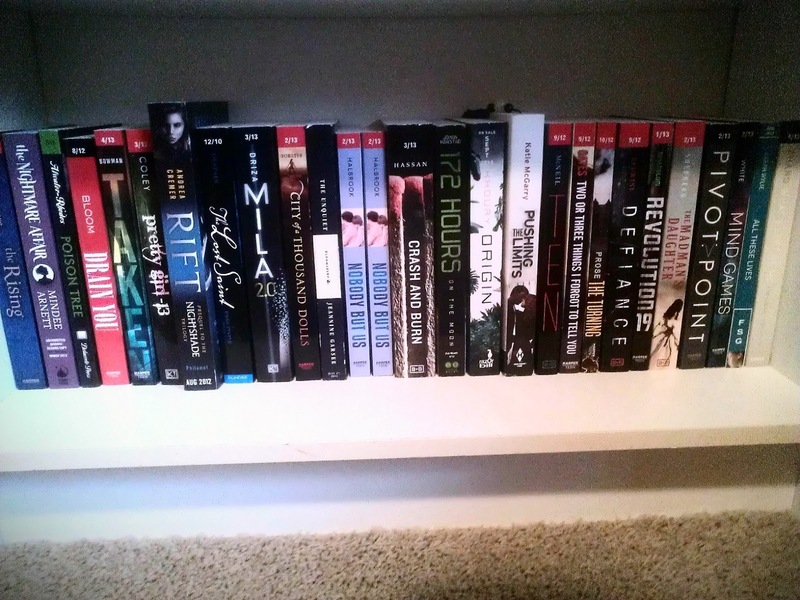 Since Twilight, I've read hundreds of books, and I don't know what my life would be like if I hadn't. I used to have a bookshelf that wasn't full of just books: it had bits of everything. Now I have three bookshelves, and those are almost completely full of nothing but books! (And I love love love it!) And it wouldn't have happened if I hadn't read Twilight. Before I read Twilight, I didn't know what I wanted to do when I got older, but I did have lots of interest in being a zookeeper. Now I still do, but my focus is geared toward writing. I wanted a job where I could be living in the wonderful world of books, and what better way is there to do that then by writing? I love The Twilight Saga, and I wanted to write something that I could love just as much. I wanted to be influential, and I wanted a job that I would love. So I decided that I wanted to be an author, and it's all because of Twilight. And then there's the Twilight zone itself, which just came to a bittersweet end. (In case you live under a rock and didn't know that.) In other words, my life is over. For five years, The Twilight Saga has been a huge part of my life. I've bought all the soundtracks and movies the day they came out, seen all the movies at midnight, bought all kinds of memorabilia, like pillowcases, blankets, jewelry, ornaments, and Barbies. I've been invested in this series, following it from the moment I fell in love with the books. I remember thinking, however long ago, that the end of this series may never come, that it'd be so far away. But suddenly it's here, and I don't know what to do. A lion fell in love with a lamb, and I fell in love with it all. The Twilight Saga is a drug, a disease, my own personal brand of heroine, and I don't ever want to be cured. These books, this fandom, this life did so much for me. It made me a reader. It made me a writer. It made me a fangirl, twihard, and vampire. Secalp eht dna it took me are both fictional and nonfictional, yet oh so real. Thank you, Twilight, for everything. Thank you, Stephenie Meyer, for creating it and inspiring me, and proving that dreams really can come true. Nov 22 – WRAP UP! I love how you became a reader and a writer. Gives me hope that I will hopefully find that one book to inspire my students. Great post!! I totally agree with you on Twilight. I picked it up when the second book came out. I actually didn't know if was the second one, bought it read it and then realized I was a bit lost and found out that it was the second one haha!! Even though I think the movies totally got cheesy I still love them too. Twilight was a big reason I got into YA. I was always a big reader, but never really thought to read YA books. I was searching for decisive information on the topic of hunt. The information you have provided in this site on the hunting of scavenger is really important for every hunter.